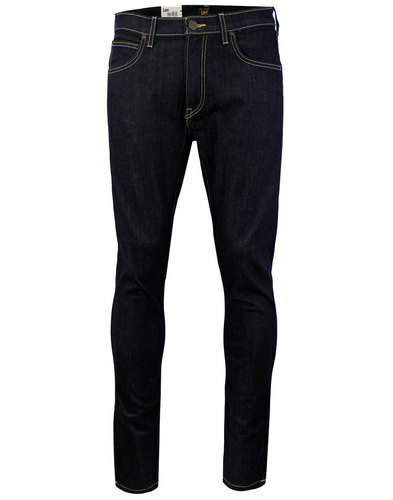 PEPE 'CASH' MENS RETRO INDIE MOD SLIM LEG 5 POCKET REGULAR FIT DENIM JEANS (Indigo Crease). In 1973 from a stall in London's fashionable Portobello Market, PEPE Jeans was born. From those humble beginnings PEPE Jeans have established themselves as a world renowned denim brand. Steeped in Vintage Heritage, recognised for innovation, style and durability. A fine reputation for high quality Mens Denim and a must have article of Indie Clothing. Introducing the iconic 'Cash' Mens Retro slim leg, 5 pocket, regular waist Mens Jeans, from PEPE Jeans London. 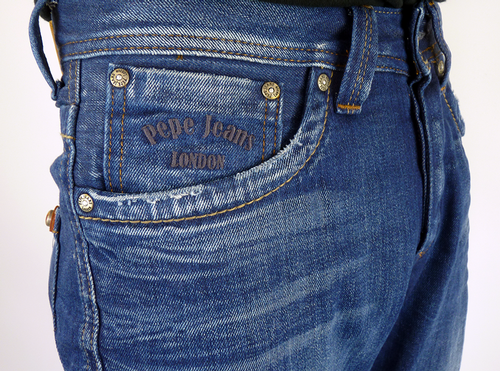 A genuine PEPE staple, 'Cash' Regular Fit Jeans. 'Cash' regular fit Mens indigo crease denim jeans by PEPE. Retro slim leg with regular waist. There's a distinctive play on the traditional Mod denim jean. A cool Indie slim leg cut incorporating the classic Vintage Western 5 pocket detail. Fab contrast Retro stitch throughout, rivet fly, robust waistband button. Oversize belt loops add a further contemporary edge. Nice back pocket detail, simple PEPE Jeans London back waistband branding and PEPE Jeans signature embroidery to front right coin pocket. Unique PEPE Jeans Union Jack glass snap rivet to back pocket. The fab indigo blast wash fuses a Vintage denim look with a modern Indie edge. The denim is treated to a deliberately creased finish. 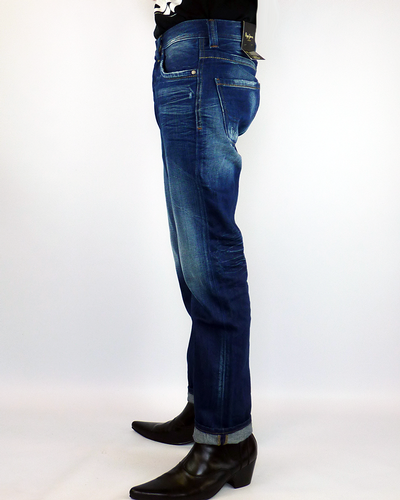 'Cash' Mens Retro denim Slim Leg, Regular Fit Jeans by PEPE. 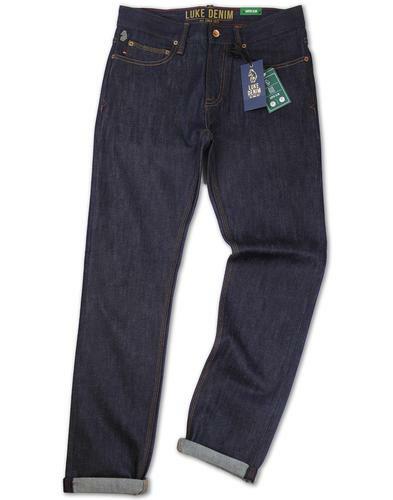 'Cash' PEPE Jeans - Regular waist, regular fit and slim leg. 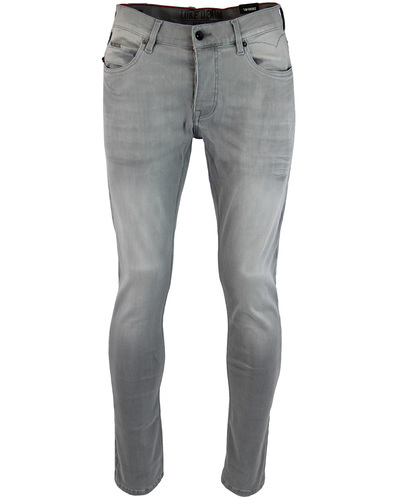 An ever present within the PEPE Denim range, 'Cash' is a consistent best seller. 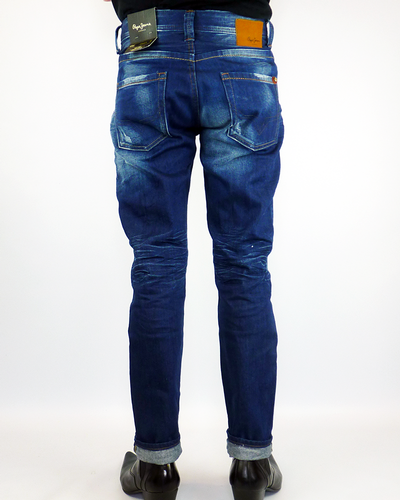 PEPE 'CASH' MENS RETRO INDIE MOD INDIGO CREASE SLIM LEG DENIM JEANS. 'CASH' MENS RETRO INDIE MOD INDIGO CREASE DENIM SLIM LEG JEANS by PEPE - Mens indigo creased denim jeans with Vintage blast wash. Contrast Retro stitch detail throughout. A brilliant Mod style that incorporates a slim leg, regular fit and regular waist. Vintage Western 5 pocket detail, rivet button to waistband and rivet fly. PEPE Jeans London branding to both the back of waistband and to the front right coin pocket. Union Jack glass snap rivet to back pocket. 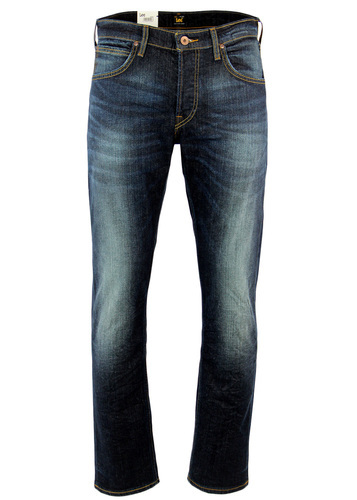 Cool Indie style and an all time denim classic - 'Cash' Mens Retro Denim Jeans by Pepe. SKU: PM200124F142 'Cash' PEPE Slim Leg Jeans. 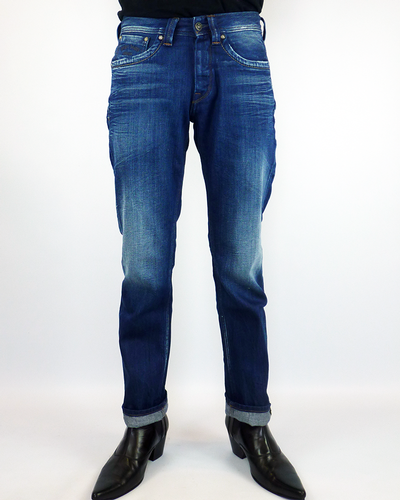 PEPE 'Cash' Mens Retro Indie Mod Slim Leg 5 Pocket Denim Jeans (Indigo Crease).